What was your inspiration for writing Escape In You? I was walking my dog, Lucy, through a wooded area by my house when I saw a couple sitting on a fallen log off the path. The girl had her head on the boy’s shoulder and both had their eyes closed. There was something sad about them, but they also seemed insulated in each other, like the rest of the world couldn’t bother them when they were together. They stuck in my mind, and even though I never saw them again, they wouldn’t leave my head. From then on, anytime I walked Lucy in those woods I would imagine a love story for that couple. When I finally sat down to write Zoe Janes and Jet Taylor’s story, I had the entire thing planned out to the last detail. What can you tell us about Zoe? Zoe is a girl who has had to go through a lot of changes in her life. There was a time when Zoe was your typical high school student—she got good grades, had lots of friends, and gossiped with her mom about cute boys after school. All of that changed for Zoe when her mom started to have issues. She had to move, she lost her friends, members of her family, and her dreams for the future. 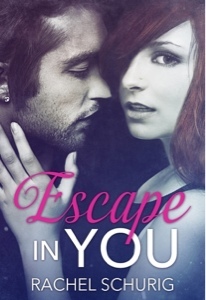 By the time she meets Jet Taylor, Zoe feels very trapped in her life. She parties a lot as a way to escape but she doesn’t think long-term freedom will ever be possible for her. Even with all of these hardships, Zoe is really loyal to her friends and her mother. She comes across as a bit of a badass, and she really is very strong, but she shows Taylor a more vulnerable side. What’s the deal with Jet? Why does Zoe call him Taylor? How many names does that kid have, anyhow? Taylor does seem to have a lot of names, LOL! Different people call him different things, and you can actually tell a lot about his relationships by what he’s called. His full name is Jeremy Edward Taylor. The people who have known him the longest, like his parents, still call him Jeremy. It represents his past, before things got messed up in his life. Jet, on the other hand, is a high school nickname given to him based on his initials and his speed on the baseball diamond. By the time he meets Zoe, Jet has become a bit of an illusion. He’s not that person anymore. He recommends Zoe call him by his last name, Taylor, and she’s the only one who does so. This is important, because Zoe is also the only one who really sees Taylor for who he is. Can you give us five random facts about Escape In You? started writing I knew exactly how the story would go. That never happens to me! Love the cover i like romance books. Loved the inspiration! And the cover is really good too.